Small Space says "sorry" and acknowledges the original owners of the land and the stolen generation on Monday the 26th of May 2014, "National Sorry Day". 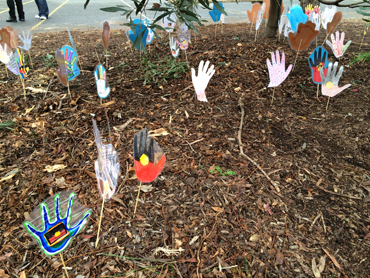 Planting of the hands at Thornbury Primary school. In recognition of the stolen generation.